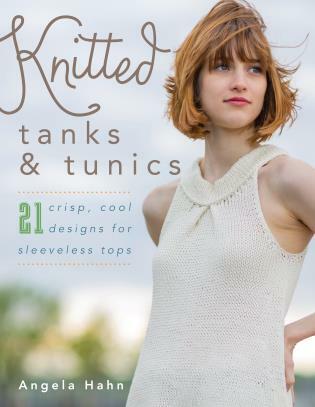 Angela Hahn has been publishing patterns for hand knitting for almost ten years. Trained in veterinary medicine, she was a small animal vet for 15 years, before reluctantly giving up her practice due to severe allergies; she turned to knitwear design in 2005. Her first patterns were published online by Magknits and Knitty in 2006; since then, her designs have appeared in knitting magazines including Interweave Knits, Vogue Knitting, Knit.1, knit.wear, Knitscene, Enchanted Knits, and Jane Austen Knits; a number of knitting pattern books; and online at Twist Collective. She has also created knitting patterns for yarn companies, and self-publishes patterns on her website, www.knititude.com, and on Ravelry. While living in Como, Italy from 2006 to 2009, she was included by The Knitter magazine in their list of “Who’s Who of Worldwide Designers.” She currently resides in Cotuit, Massachusetts.